Description: PP non woven bags are an eco-friendly bags can be used for multiple use: packaging, shopping, promotion, advertising,.. and can be reusable and recyclable easily. 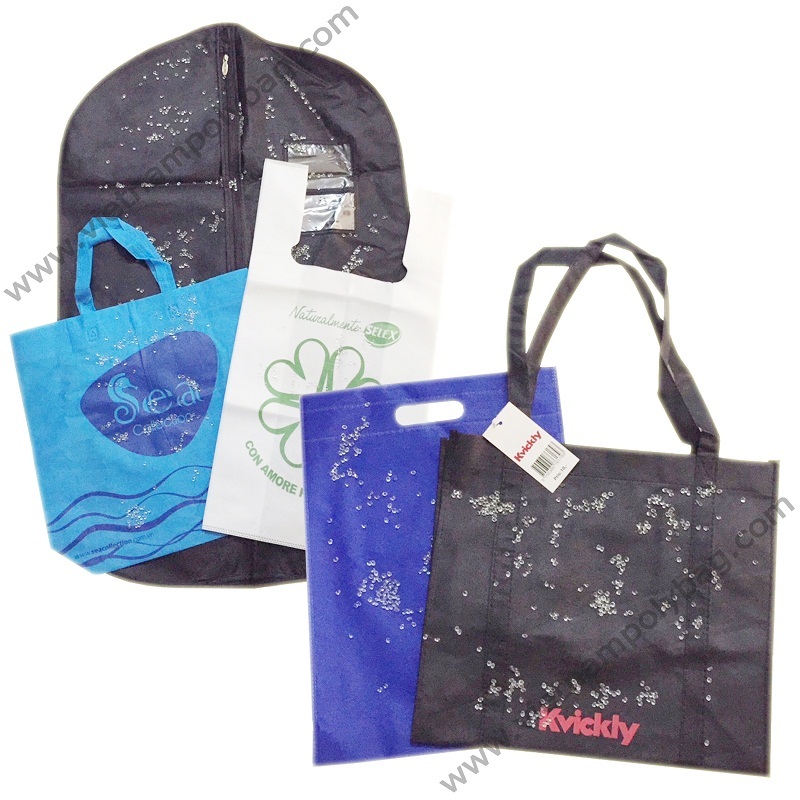 They are well known as eco-friendly bags, self-destructible bags, and ecological bags. Advantage: original non woven fabric are natural plastic, so non woven bags are not poisonous and very environmental friendly. non woven fabric is made from long fibers, bonded together by chemical, mechanical, heat or solvent treatment that can decompose completely within 3 – 6 months in the natural environment. Due to washable ability, non woven bags can be reused many times So non-woven bags are an optimal solution for reconciling economic benefit and environmental sanitation.